This (and the next) is perhaps the toughest chapters to write of my entire story because I look back at this time as the most vulnerable time in my life. Filled with lots of uncertainty and heartache. A real deep aching and bleeding of my heart. Even still, when I look back at pictures of me, and of him at this time period, my stomach gets tied in a knot. And not a good knot, an uncomfortable one. A knot that you don’t ever ever want to feel because it hurts too bad. A knot that can be described only by the hopeless feeling of love for someone…who you are pretty convinced doesn’t love you back in the same way. 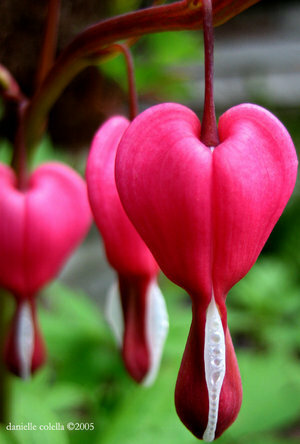 Bleeding Heart image found here. I knew he cared for me. That, I never questioned. I knew he wanted to love me, but I could tell something just wasn’t coming together for him. I got it. I’d experienced it before in past relationships. You can’t force your heart to love someone…I’d tried before with others…so it was clear to me that this is what Matthew was feeling for me. Underneath the surface smile that I wore on my face, my stomach was in a constant state of knots. For 3 solid months. He would look at me with those eyes that I swear were reserved just for me…with a slight little grin that let me think…maybe there is something more, but I could never let myself believe such things. I wanted to give up nearly every day, I wanted to run and hide, to leave the comfort of my roommates and just be gone so I didn’t have to deal with it every day. But the thought of being away from him hurt even more, so I didn’t entertain those thoughts very often. Neither of us dated anyone else during this time. In the eyes of those around us we were exclusive. So on the outside, we had fun with the network of friends we had. My roommates and I cheered on his roommates in their floor hockey and soccer games, and it was fun to see my sweet, innocent, (dare I say shy) Matthew get aggressive and feisty (but not angry) on the court. I liked it. I liked it a lot. I saw him as such a reserved/chill guy, but watching him play sports–he was really good! Then one day, I heard him play Canon in D on the piano and I was a puddle on the floor. How could he really be everything so amazing all packaged into one person? Things were touch and go with us. I could tell he was tormented inside. There was more going on in his head than just him and me. There are several factors that he shared with me at one time or another that I lumped into reasons he was indecisive about us. I had to remind myself of these in order to not feel so much pain at his uncertainties. 1. At one point, he told me that there were things going on at home in California that were concerning him, but didn’t feel he could share it with anyone. (If it were me, I would have confided in a friend, but it is him and even still he keeps the concerns of others, to himself and doesn’t share with me). I knew that concern–a few states away–was occupying his mind heavily, so it made it a bit easier for me to give him time. 2. I also understood that he had to reconcile with himself the fact that I dated his brother. There was no changing that. It was something he had to be ok with. Though I knew these things, I told myself to be patient, at times I couldn’t stand just hanging out and having fun and keeping a smile on my face. We had no hand holding, no kissing (just the once), no warm embraces. We were best friends with an underlying, uncertain tension. Probably every other week or so, that tension was too much for me to bear. I’d pull him aside saying I needed to talk. We’d go on a walk and on one occasion in late February, I asked if he was being completely honest with me. I didn’t want to be strung along if he wasn’t feeling it. He answered in a frustrated tone (with himself) that he also didn’t want to lead me on and couldn’t stand not being in his life, but couldn’t commit to anything more than friends either. It was enough to give me hope. It actually hurt LESS to be with him, I forgot my woes…but the time apart is when the knots in my stomach would tighten and twist. Besides my thoughts on Matthew, I had other big life decisions going on, too. During this entire time, I was taking a Missionary Preparation class. I was 20, and for a very long time, I had a dream of serving a full time mission for my church when I turned 21 (the minimum age for girls to serve at that time). My birthday was 6 months away, and the idea of heading on a mission had always sounded so wonderful to me. I loved my faith and I wanted to share it with others, and with a relationship that didn’t seem to be panning out, it looked like more and more of a possibility. In February, I had also found out that I got taken off of the waiting list, and onto the acceptance list to Study Abroad in Jerusalem. It was my dad’s idea the previous fall, and when I was 20th or so on the waiting list, figured it wouldn’t happen. I was excited, but I told myself that if Matthew changed his mind about us and wanted me to stay…I would…in a heartbeat. When it looked pretty clear that that wasn’t going to happen, I made the preparations. Passport–check. Immunization update–check. Travel fanny pack–check (oh yes, I did). Though I enjoyed looking forward to this, I never really thought I’d end up going. Matthew’s roommates and mine had what we like to call “free love.” We liked to give each other a shoulder massage, or play with each others hair. It was all platonic and in good fun. That wasn’t something Matthew and I did with each other, so when I needed a relaxing neck massage, I’d generally ask his roommate C.J. If Matthew was bothered by it–so be it. C.J. and I were really like bro and sis. He’d walk with his arm around my shoulder, and he even told me around that time that his first impression of me (a year before) was that I was cute, but out of his league. We laughed it off b/c he had a crush on my roommate and I on his. Matthew and I would go to the library and study together, to the grocery store to buy food, we’d even hide out in a room on campus where he taught me Canon in D. That would be some of the closest we were those few months, he had to place my fingers on the right keys, and we sat shoulder to shoulder. I could sit there for hours on end, just to be that close to him. I’d decide on occasion that I would not see him some days. I’d hide out on campus or go to my brother’s house because I wanted him to miss me. I hoped it would snap something into him, make him realize, torment him just a little. It never occurred to me that he could be just as agonized inside as I was. 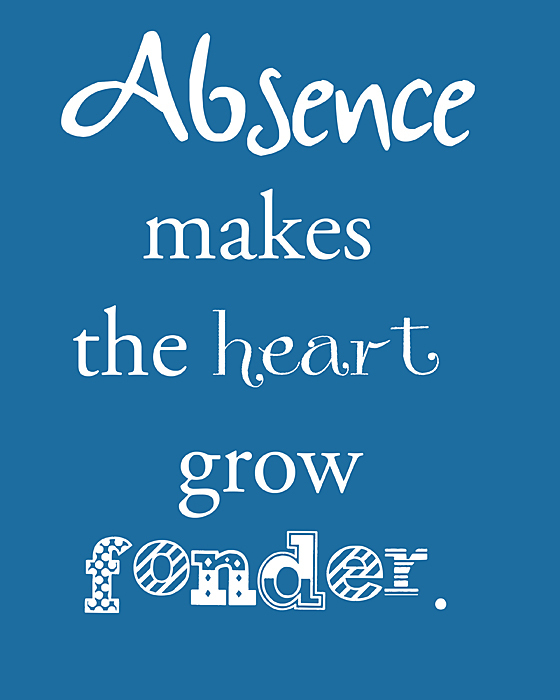 I hoped the old adage, “absence makes the heart grow fonder” would come into play. I hated the games, but I also hated wondering, too. One night I came home right at midnight, knowing the boys would be gone if they had been there (BYU campus rules). I hadn’t told my roommates where I’d be, in the event that he asked. They said he was there earlier, figuring I’d be home soon. Ha! I showed him;) One time I left for two straight days without any communication (no cell phones/texting). I met up with friends on campus, went to classes with them, just to fill my time and so I wouldn’t be left alone to my thoughts. It was a fun semester where my sister in law, Alayna and my friend Chris (Sam’s best friend) and I were in a class together, and we sat in the back chit-chatting the whole time. I was surrounded by so many great influences, it really lifted me up when I started to get down. In my journal, Friday Night, February 26th 1999: I made enchilada casserole for my roommates and his, and in a round about way (that’s how he rolls) he asked me where I’d been the past two days. I felt a teensy bit bad that he had been left in the dark, but secretly happy to realize he missed me. After dinner when C.J.’s hands were tired of massaging my shoulders, Matthew offered to take over. That night, we had made plans to go out with his former roommate and his wife–a double date with a married couple–nice. This could be awkward. An official date with us was pretty rare–I mean…we weren’t “dating.” We went to a concert on campus, and on this night, he put his arm around me and occasionally stroked my arm–chills up my spine! I’m thinking the 2 day absence really had an affect on him! We parted with his friends and roamed campus in the late evening. We were just having fun and laughing and though I wanted to pick the current state of his brain, I didn’t want to ruin anything. We found a piano and he played A Poor Wayfaring Man of Grief, his favorite hymn. I died. That piano playing such a beautiful piece, took my breath away. The night kept going, as our church congregation (filled with other single twenty somethings) had an ice skating activity from midnight to 2am. We met up with our friends and I was amazed as Matthew whipped around the rink with ease, as I clung onto the half wall. It was cold, we had gloves, but I still loved that he grabbed my hand to help me. This was a very public display of affection. I called him my anchor, and he seemed to like that. I went home floating on air…feeling so very hopeful. For a few weeks, we just had fun. “Dates” to the library, laughing at the love triangle between our roommates, driving up to the “Y” mountain to see the city lights and talk about Life, helping me study by making flashcards, quizzing me, picking me up from the library late at night so I don’t have to walk home alone in the dark. Then another week passed by, and I started to question myself and him. 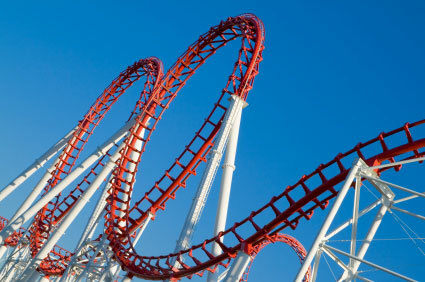 It was a terrible roller coaster of ups and downs with no end in sight. This time I told him I just couldn’t do it anymore. I started to feel irritated with him, and that irritation turned to annoyance, and that’s just never a good sign. March 3,1999 in my journal says: Matthew and I went on a walk and after all of my explaining, tears, and a few breaths of frustration, we decided it best to end things (whatever it was). He said that last week when I was gone he really missed me, and that spending time together again was a lot of fun. But then something happened to bring him down again, he wanted it to work, but something is missing. He said he realizes he is passing up a good thing. As we walked back home around 5pm, I told him I wouldn’t want to be around him. I went into my room, fell on the bed, and cried until I fell asleep. After a long nap, I felt bad and called him to apologize and said I do still want our friendship. He asked if I wanted to go to the grocery store, and we talked and laughed like nothing ever happened. For the time being, I didn’t worry about what he thought or what was going to happen. I made a decision that it wasn’t working and called off all the shots, and that seemed to make it much easier to be around each other. My little brothers came into town for their Spring Break along with my parents who dropped them off for a few days with myself and my older brother. I had fun introducing them to all of my friends. Matthew, Sam, Amy, and I made a picnic to eat across the street from our apartment with my little brothers. I took my little brother, Russell, along with my friends and I into the canyon for a bonfire. It felt so disjointed and awkward with Matthew. I just stayed close to my roommates and pretended everything was ok. When we met up with family, I think everyone thought Matthew and I were together, and I knew the questions were coming. I hated that I’d have to answer them but when I got together with my parents and grandparents, the questions came. I irritatedly answered that we are just friends, and changed the subject. I wrote in my journal, “I don’t think I”ll ever find someone as perfect for me as Matthew seems to be.” I was hurt, bitter, jealous, irritated. That physical pain came back, and I regretted our severing what minor ties we had, the previous week. It was all me. My impatience at not being able to wait for him. I knew he wanted to be with me, but couldn’t understand why we weren’t clicking. The timing was just off.